DO YOU HAVE THE STRUCTURAL ADVANTAGE? With all the excitement of the World Cup, we get to witness some of the greatest athletes in the world performing and competing with each other. Many of us watching on TV, witness these world class players get the most out of their bodies to win the game. The average athlete that gets to play in these world class games has to be functioning at their optimal levels. With so many skilled players competing any single advantage can mean placing on the team or staying home. your body and why is it not aging as the area that is bothering you”. After laughing at my comment, most people do recognize that abnormal wear or tear can be because their structure has gone outside of the normal range. The abnormal structure equates to abnormal pressure on the body and this process will deteriorate certain areas faster than the rest. The misaligned car burns more gas even though it is performing worse costing more too. This equates for a person that feels they have less energy and gets tired much faster than they used too. For a top athlete all these factors are important to be placed and playing or not. 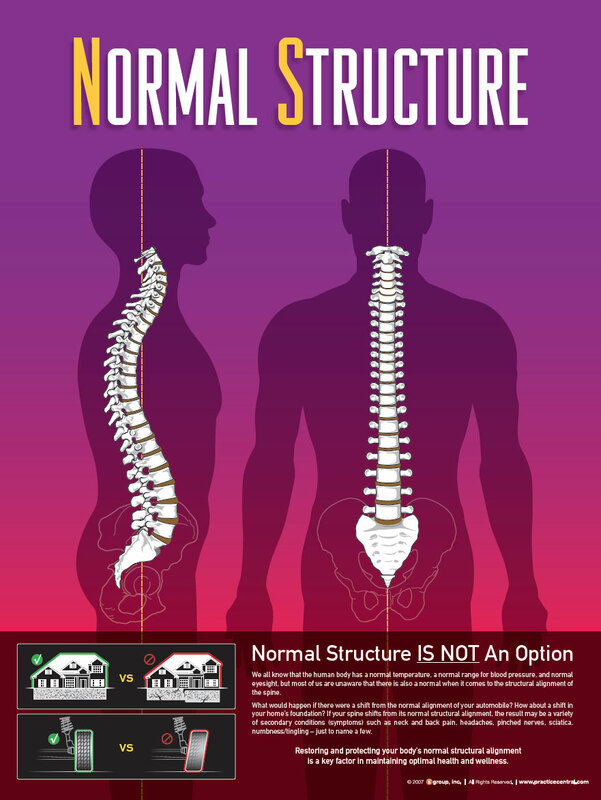 For the average person their structure is also very important for everyday living. At work energy and job performance can equal a raise or getting replaced. This applies to a person’s relationships with their family too. It is hard to keep up with the family and kids if your energy is low and your body is performing like it should. This also applies to fun hobbies and activities. There is no doubt that the average person that is functioning below their body’s abilities is missing out on all that life has to offer. The structural advantage affects all parts of life and allows for a life lived at your full potential. Is it true that you lose your height as you age? Is this something that is unavoidable? You can observe that many people start to shrink over time and although this is a common thing to happen, it is absolutely not normal. 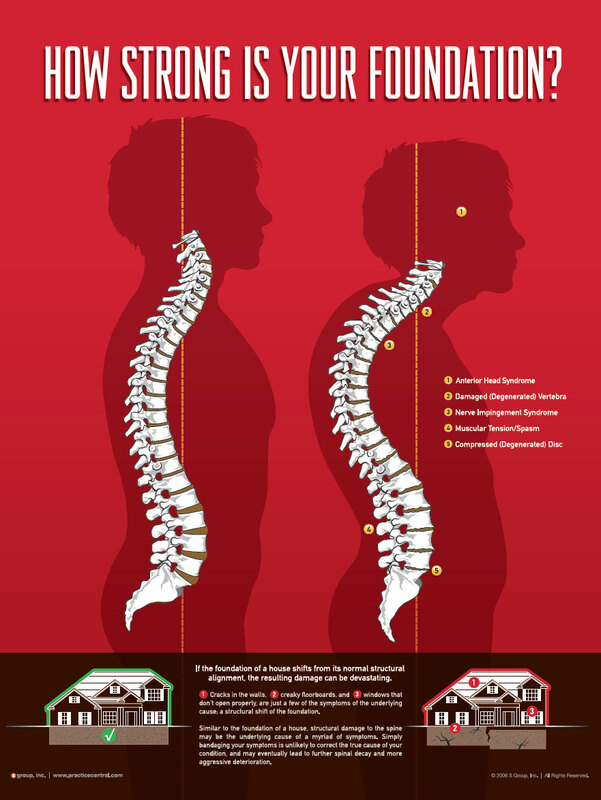 To fully understand why the height changes, we first need to understand how a spine works. There are normal ranges for most systems in your body. There are normal ranges for blood pressure, body temperature and, indeed, the spine too has a normal range. A normal spine is straight from the front and from the side there are three curves. These banana shaped curves are in the neck, mid-back and low back. The whole spine is made up of 24 individual bones (vertebra). In between each bone is a cartilage pad called a vertebral disc. When the spine is within the normal range it has the average height of 71 cm. There are many different types of stresses that cause a person’s spine to go out of the normal range. A few of these include the birth process, fall, traumas, accidents, and job hazards including, but not limited to, sitting for long periods in front of a computer, driving for long periods, manual labor, etc. The people with a shrinking spine and structural abnormalities will experience many secondary conditions such as neck and back pain, disc bulges, radiculopathy,headaches, arm or leg pain, muscle spasm…. People with these issues are at a greater risk of experiencing height loss. 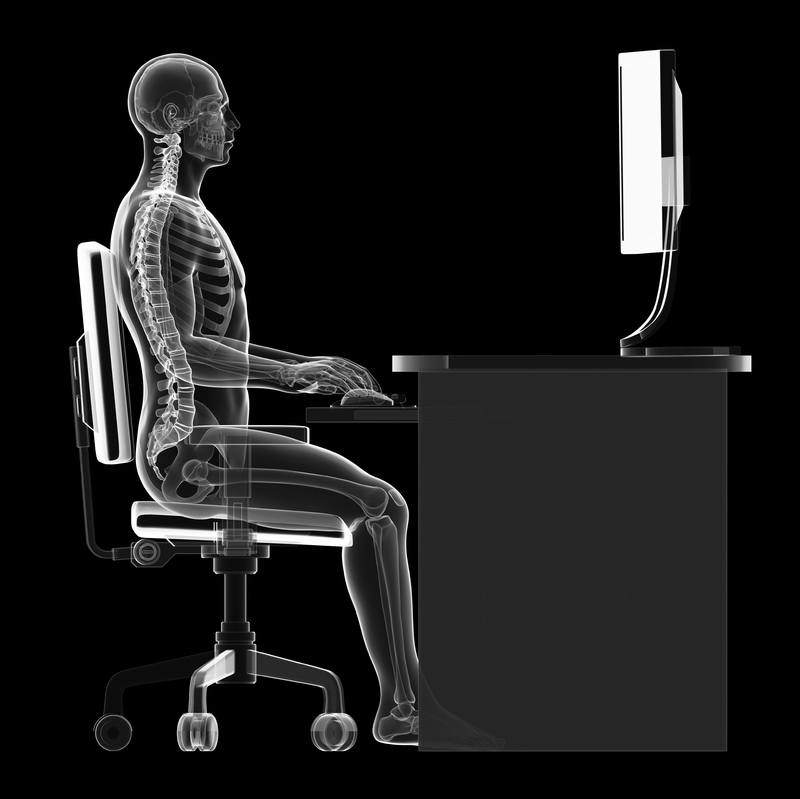 ARE PROLONG PERIODS OF SITTING, INJURING YOUR BACK? Long hours of sitting over time can lead to many health conditions; including Arthritis, degenerative changes in the spine and pinched nerves. These lead to many other diseases caused by lack of activity including weight gain, heart disease, stroke, cancer, and diabetes. The diseases usually take years of prolonged sitting to develop, however, in the meantime, warning signals of damage develop such as neck and back pain, headaches, fatigue, problems in the arms and hands, and lack of concentration. When we sit all day, we place a lot of stress on our spines. Improper sitting to look at the computer screen, phone or TV all day causes our heads to move forward, and our backs to hunch over. The bad position leads to structural shifts in the spine causing the development of ANTERIOR HEAD SYNDROME (AHS). Did you know that every inch our head moves forward from of our shoulders, 10 extra pounds of stress is placed on our spine? So a person that has an AHS of 3-5 inches is putting 30-50 pounds of extra pressure on their spine. Within 2 weeks of developing AHS our spines start to deteriorate. A deteriorating spine directly affects our nerves, compromising the messages that travel from the brain to the different parts of the body. All communication from the brain to the body happens through the nerves so AHS disrupts total body function. It is very important, in order to avoid AHS that we practice proper ergonomics especially if we are going to be sitting for long than 30 minute periods. Proper sitting ergonomics include the following, the head should be straight and NOT in a down position most of the time. The back should be straight or tilted 10-15 degrees. The arms should be at 90 degree angles and the wrist should be slightly flexed. The legs should be either right under the knees or a few inches forward. It is a bad habit to tuck your feet under the chair. Due to fact that most people have not practiced proper ergonomics, they have already developed structural shifts in their spines. It is the primary purpose of a Structural Chiropractor to locate these structural abnormalities. Once a structural problem has been found, Correctional Chiropractic Care specializes in restoring normal structure and function to the spine and to all the nerves that control the rest of the body. The correction of the underlying problem causes many of the structural abnormalities that sitting all day have caused to be resolved and the entire body functions at an optimal level. When the spine and nervous system are working better, the rest of the body will also work better. Everyone is doing it. Look at a crowd and you can easily see several people looking down at their phones and rapidly moving their thumbs. 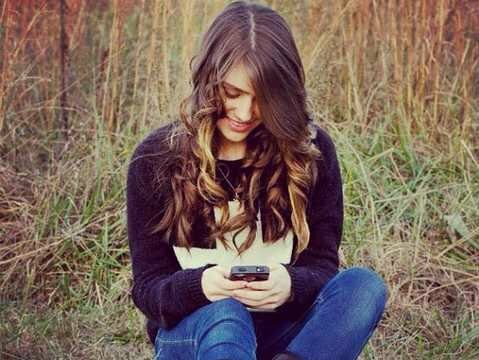 The newest research is indicating that people are texting more than calling each other. The habit of texting is much higher amongst the newer generations but everybody is texting more and more. A person texting is usually sitting with their phone in their lap. The head is bent forward and down while the eyes focus on the phone. The average person will also roll in their hips and sit in a slouched position. The recent research by Business News Daily reports that we Americans are spending more than 12 hours a week texting. The position of the body and the time spent in that position is creating an epidemic is our society. The epidemic is ANTERIOR HEAD SYNDROME (AHS). A Structural Chiropractors, concerned with the Human spine being in a normal range of alignment, are having to correct AHS more than ever before. As science and technology are advancing, we are able to determine normal ranges of many things in the body. There is a normal range for Blood pressure, Heart rate, Liver and kidney function etc. The research and years of clinical data has also determined the ideal norm for the spin and a range within which the human body functions at an optimal level. The normal for the spine is completely straight, looking from the front and having three curves when looking from the side. In Anterior head syndrome the person starts to lose the curve in their neck as the head juts forward. 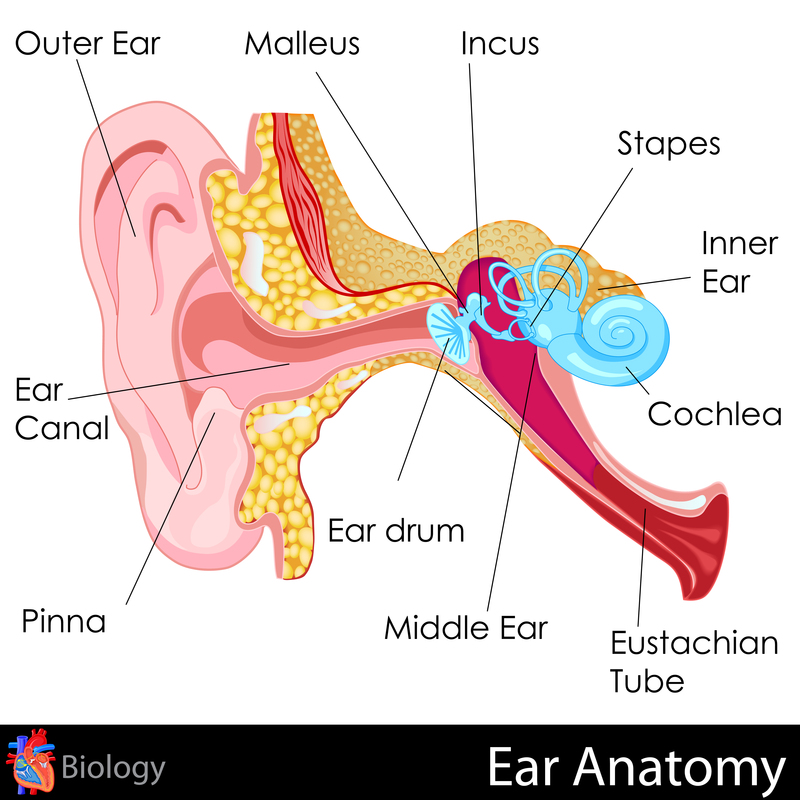 The primary condition of AHS has many secondary conditions that start surfacing over time. One secondary condition is bad posture with the head moving forward causing a hump to develop in the upper back region. Other secondary conditions include pain, numbness, tingling in the neck and going down the arm and the hand. Long periods of looking down and texting causes a rapid degeneration and arthritis. Imagine a bowling ball weighing about the average weight of the human head, about 15 pounds. If you were holding the ball on top of your shoulders you could balance it easily. Now extend your arms out while holding this ball. What happens within seconds is you feel the pressure from the ball in your entire Spine. You would start to feel that way just by holding the bowling ball for few seconds with texting you would be doing it for much longer periods of time. The body would start to misalign itself into an abnormal range. It is obvious why there is huge concern about the time spent texting, the spine and the health of the person who has developed Anterior head syndrome. It is a sensitive subject with many but it is also very misunderstood. Many have blamed old age on this problem yet we are finding this condition in younger people too. The research is now showing that Dowager’s hump or Granny’s hump is a secondary condition resulting from a primary condition called the Anterior Head Syndrome. There are many documented secondary conditions that are caused by Anterior Head Syndrome (AHS), these include Dowager’s hump, neck, arm and hand pain, headaches, numbness in the arm and hands, nerve impingement Syndrome, muscular tension and spasms, Compressed (degenerated) disc, damaged (degenerated) spine, degenerative arthritis and many more. Although most traditional doctors treat these secondary conditions, our focus at Planet Chiropractic is find the underlying cause or what is the primary condition an correct it. There are many lifestyle factors (physical, emotional and chemical) that cause the development of Anterior Head Syndrome. A physical trauma like a fall, any type of accidents, sitting or standing in the same position for long periods of time… can cause an abnormal position in the spine and over time that develops into the Anterior Head Syndrome. The use of technology is causing many of us to look down all day either at a computer, phone, games, etc. Being in this abnormal position from prolonged periods will worsen the Anterior Head Syndrome. Emotional stress causes people to go into a protective hunched position and unknowing to themselves they are developing AHS. Even Chemical stress from the air you breath to the environment around you can indirectly cause the development of this structural abnormality. By the time a person noticeably has Anterior Head Syndrome the damage is already there and professional intervention from a Structural Corrective Chiropractor is needed to discover the severity of the structural abnormality and how to properly corrective it. There is lots of research from the top researchers in the field of human anatomy that have discovered the normal alignment of the spine. There are ranges of normal throughout your body. There is a normal range for body temperature, blood pressure, heart rate… and there is also a normal range for your spine. For the spine to be structurally normal it has to be straight from the front and from the side, a person should have a curve in their neck, mid and low back. The neck curve can be observed from the side, the top of your shoulder and the hole in your ear should be aligned. If the person is suffering from the Anterior Head Syndrome in their spine than their ear would be more forward compared to their shoulders. Overtime as the pressure from the Anterior Head Syndrome increases the body starts to develop muscle in the upper back to support the abnormal pressure. Research shows that for every 1 inch your head moves forward from its normal position equals to fifteen pounds of extra pressure on your upper back. The development of this extra muscle overtime, is what many have observed to be a hump on the person’s back and is many times referred to as ‘granny’s hump’. The development of the Anterior Syndrome is primarily a Structural abnormality and not due to the age of the person. 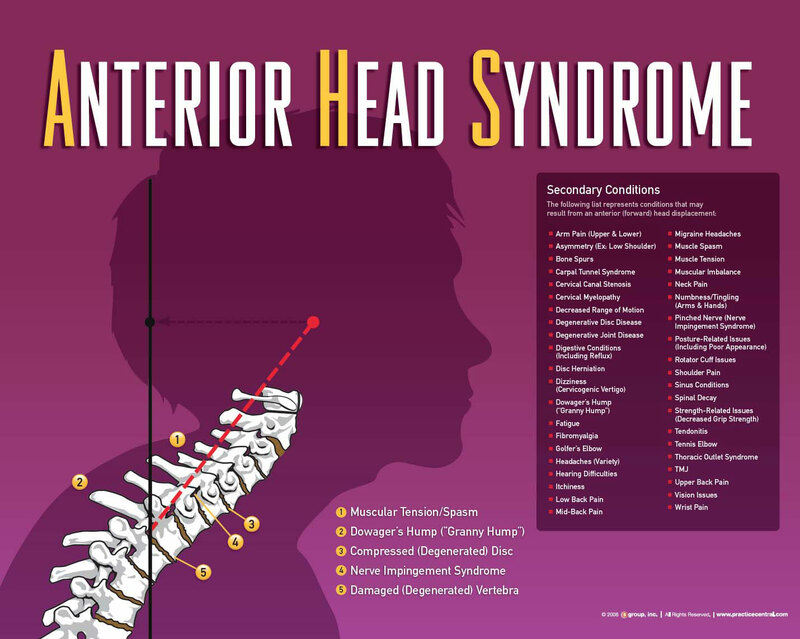 Anterior Head Syndrome is one of the health problems that our office checks everyone for regularly. Our comprehensive structural examinations helps us measure the amount of Anterior Head Syndrome and allows us to to determine if it is correctable.